We Are Professionals Servicing Professionals! Michigan Linen Service. Who Are We? We are professionals servicing professionals. It is the goal of each of our employees to bring our clients the highest quality service. 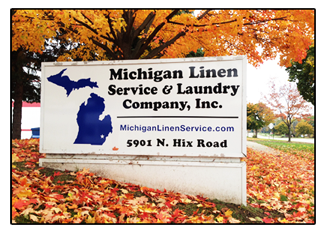 At Michigan Linen Service, our customers are our first priority. Since day one we have made it our business to show our customers respect and professionalism no matter what. Unlike the large chain laundry companies, to us your business is never simply a number. To Michigan Linen Service, having your business means we are helping you to provide the best service in Michigan. At Michigan Linen Service we are Professionals Serving Professionals. It is our goal to show you why we are the best industrial laundry service in operation and have been providing great service since day one. Your merchandise is only handled by our well trained professionals. We only use brand name products. So quality is guaranteed. All of our drivers make sure customer service comes first. We are not a chain. We promise corteous and excellent service.